Phil's Forum for Independent Retailer Success: Urgent, Important or Both? 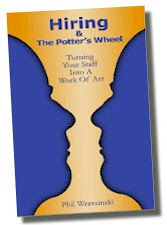 My wife just bought a new Franklin Covey planner loaded with ideas to help you manage your time better. One of the best methods is a system I use regularly. Draw a horizontal line and call it Urgent. Then draw a vertical line intersecting your Urgent line at the midpoint and call it Important. Everything you have on your To-Do List then gets plotted on those two lines based on how Urgent it is and how Important it is. The truly Urgent and Important items will end up in the upper right quadrant. Do those things first. The Important but not so Urgent items will end up in the upper left quadrant. Do those next. 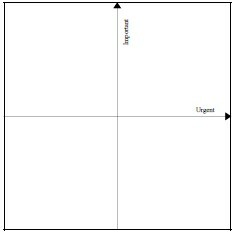 The Urgent but not Important items will end up in the lower right quadrant. Delegate them. The not so Urgent and not so Important stuff ends up in the lower left quadrant. This is where the fun usually ends up. Your choices here are to forget about them, or set aside a little white space in your life to have a little fun, to do the stuff that is neither Urgent nor Important. Me? I prefer the latter. Can someone else in my business do this? Will the world stop spinning if I don't get this done today? The first question helps you sort out how important it is. If someone else can do it, then it isn't as important as you think. Let them do it. They'll love the extra responsibility. The second question helps you sort out what is truly Urgent. Although it is often good to get tomorrow's tasks done today, don't do that when you have to sacrifice time for yourself. We can't be all-business-all-the-time and expect to succeed. The burnout is too high. Find some time to do something in that lower left quadrant (as long as it is fun). PS - Yeah, writing this is in that lower left quadrant for me. Not really Urgent, only kind of Important, but a whole lot of fun.